Imagine you have been working for a company or an office abroad, but you just received a new opportunity that is more interesting and stimulating. First of all, congratulations! Changing your job could represent a big opportunity for both professional and personal growth. Once you have accepted the new job, you will have to give your two weeks’ notice to your boss. You will probably want to meet them personally in the office to discuss your decision and to say goodbye. Once you’ve done this, the next step will be to write your resignation letter. @abaenglish shows you how to write a resignation letter in English. A resignation letter is a very important official document. It will influence your two last weeks of work in the company you are leaving and could also impact your future career. You do not need to write a lot, just a simple letter that is short and professional. For example, you do not need to explain the reasons behind your decision, something you will probably already have done privately with your employer. Furthermore, it is important to use s friendly, but professional, tone the whole time. Let’s examine together, step by step, what to include in a resignation letter as well as some useful sentences that could be adapted to your situation. In the first part of the letter, you only need the destination, the exact date of your resignation, and your job title in the company. If you had a friendly and familiar relationship with your boss, you could start your letter with Dear, followed by their name. 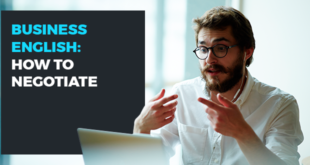 If you work for a big company and have a more formal relationship with your boss and the other members of the office, it would be better to keep a formal tone by using the appropriate title before their name, like Ms, Mrs, Mr, and Miss. If you are going to hand in a paper letter, write the date at the top of the left side, while your boss’s name and address have to be written below. Be clear and kind, but firm when you state your decision to leave the company. In this way you will avoid the embarrassing situation of a counteroffer from your boss trying to keep you in the company. Simply present your decision to leave your job and the date of your resignation. I present my letter of resignation as [your position here]. My last day of work will be [the date of resignation]. Please accept this letter as a notification of my resignation from my position as [your position here] effective on [the date of resignation]. I present my letter of resignation as [your position here] with my last day being [the date of resignation]. I am writing to inform you that my employment as [your position here] will end on [the date of resignation]. After the introduction, it is suitable to write some lines of gratitude for the opportunity you were given when hired by the company. Maybe your experience was not always perfect, but avoid criticizing either the company or your boss. Instead, it would be better to concentrate on the positive aspects of your working experience, in order to leave behind good memories and maintain a good relationship. I really thank you for all the experience I gained through my position. I want to thank you sincerely for all the opportunities you have offered me and for the skills that I have acquired in your company over the years. For the conclusion, add a few words of appreciation, especially if you had a close friendship or at least an excellent collaboration with your boss. I’ll always be grateful to you for ensuring my success at my position. Thank you for your encouragement and help over the years. End your letter with a suitable closing, such as Warmly, Kind regards, Wishing you the best, or Sincerely. Then add your signature. 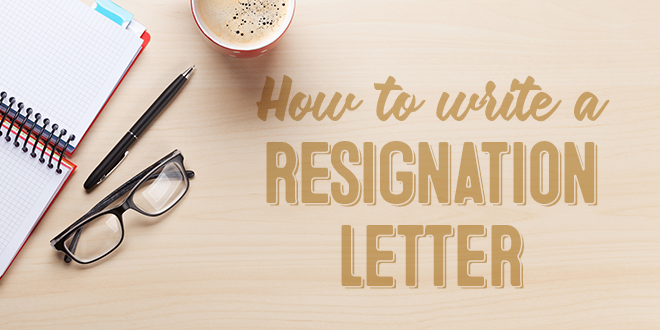 Now that you know how to write a resignation letter in English, you are ready to start a new career. 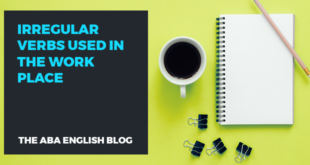 Independent of where you want to work, in any field you want to work, it’s highly probable that you’ll need to know English. 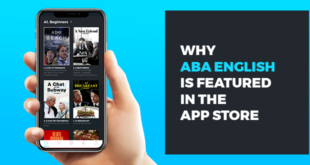 If you are thinking about taking an English course, ABA English could be just what you are looking for. They offer 144 video lessons and just as many short videos in addition to qualified native teachers ready to clear up any of your doubts. What are you waiting for? Start preparing for your new career today. Thank you, I’ve learnt a lot with this post.